Come November 5, 2016, at 1 a.m. the clocks will officially “fall back” one hour at the end of daylight saving time, the practice of moving the clocks ahead by one hour every year in March that was implemented March 31, 1918 as a wartime measure, according to History.com. But what does the time change really mean other than gaining back that hour of sleep you lost last spring? In simple terms, it means the sun will rise and set one hour earlier, which equates to more sunlight in the morning and less sunlight in the evening hours. Oftentimes the change takes some getting used to, especially when you are leaving the house early in the morning and not getting back home until evening. By the time most people get home from a long day of work, that’s when many realize they forgot to leave a light on outside, and they’re coming home to a dark driveway. But if you have outdoor solar lighting, it’s not a problem. 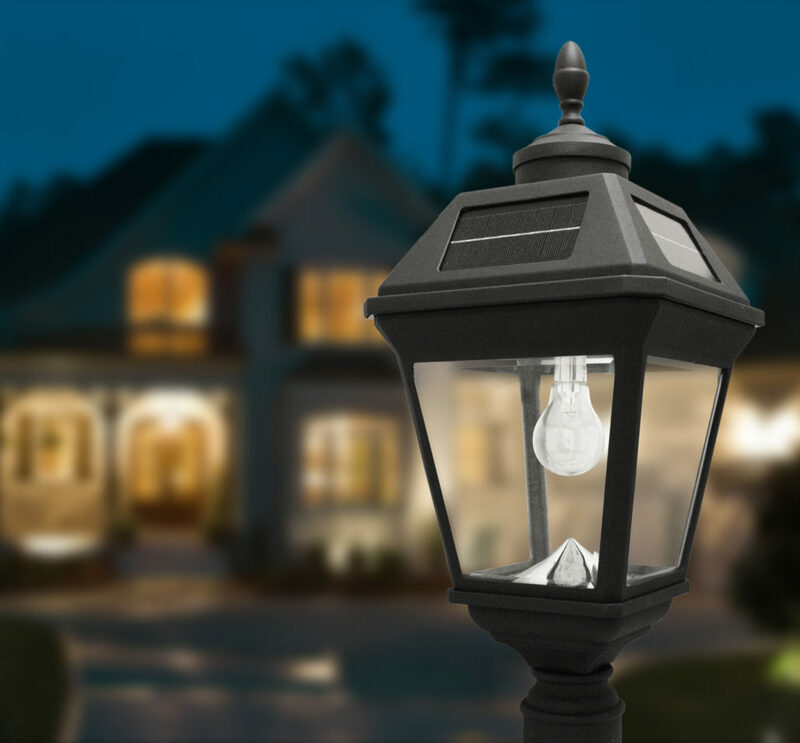 With outdoor solar lighting you never have to worry whether you left a light on or not, since the solar lights will automatically light up at dusk. By the time you get home from your workday, there’s no stumbling around in the dark. Solar lighting is on and ready to welcome you home. A lamppost design with a single, double or triple lamp is great for adding ample solar lighting to longer driveways, while solar garden lights are great along a pathway from the garage to the front porch. And you won’t fumble for your keys with a wall mounted solar light at your door. Finally, don’t forget about the back patio. Add light and beauty to the area with some creative solar outdoor lighting. With solar lighting there’s no wiring or rewiring, so they are easy to install. So if the end of Daylight Saving Time has you coming home in the dark, consider outdoor solar lighting to light the way to your house.